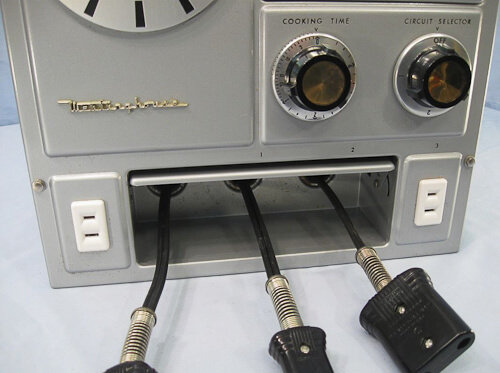 Search Results for: "appliance center"
We don’t see these too often: A Westinghouse Appliance Center — the kind that’s recessed into the wall — New Old Stock. 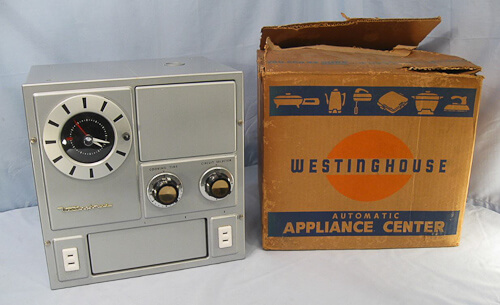 For sale on ebay here >> New Old Stock Westinghouse Appliance Center << I get a wee spiff if someone buys it. 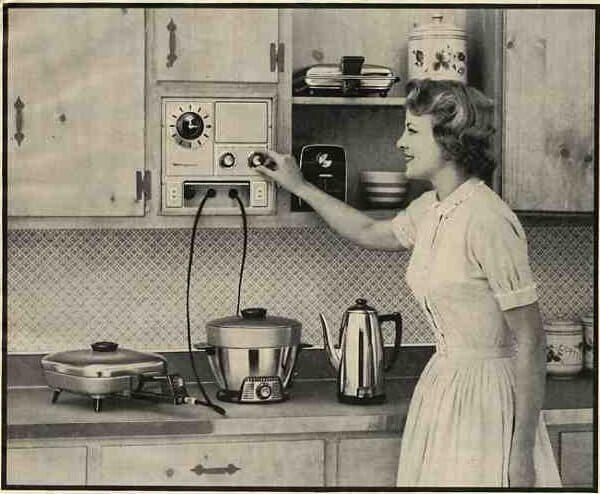 And remember: Check with properly licensed professional before using old stuff like this. + More stories about these woddities, from my 10+ years of archives. here. “It’s like the ’60s and ’70s threw up in there. I love it.” — Lauri V.
“…Alice in Wallpaper Wonderland…” — Annie B. My mother always used to say, “Well I better do something, even if it’s wrong.” — Lauri V., back again with wisdom for our times. 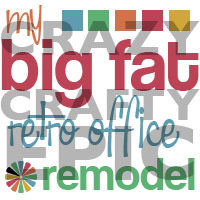 It’s been fun all week to show off my office craft room remodel — and to read your comments. Maybe I’d best get back to the rest of retro world, so my special series is coming to an end (although I will have its and bits more within the next few weeks spotlighting various resources etc.) To wrap things up: I did a big camera download, and here are 25 photos of some of the details — each one of them sweated and second-guessed, of course, right up until the minute the credit card was slapped down on a counter.